To accomplish the numerous requirements of the clients, we are engaged in providing a high quality range of Kitchen Countertop. We also offer Ready To Fix Countertops With Double Bull Nose. in customized sizes. 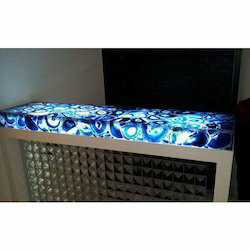 We offer these countertops in all sizes as required by our clients. ANSI India offers you a range of countertops made in Granite, Marble, Slates, Sandstones, Limestones, Mosiacs and so on to give you the look that you desire & the durability that you deserve. Natural stones are an ideal countertop surface with a multitude of one-of-a-kind color choices and the durability to withstand everyday use. Natural, Durable & Beautiful. We are offering a comprehensive range of high quality Stone Countertops to our clients. It is highly acclaimed for its natural beauty, that makes it useful for interior as well as exterior decoration. Our products are offered many color & designs in the following sizes. These Countertops are appreciated by large number of clients due to high quality and durability. 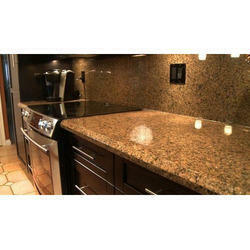 Owing to the wide experience of this domain, we are instrumental in offering Granite Countertop.